(45:45) The enormous talents of Chad BOWERS, Marc ROSE, Shambles CONSTANT, Jeff POLLARD, Frank NORA, PQ RIBBER and Milt KANES combine with Jimbo to bring you “Hometownville”, a very unique and hammy serial. Hometownville is a village somewhere around turn of the 20th century Alaska. They have a little technology and the government has used goats to cause the Mandela Effect. Yeah, it’s really, really confusing and absurd – the way it ought to be — in a fun show! notes: ..“Sharp Scissors” sketch written by Jimbo and Jeff Pollard..“Radio Station DJ” sketch written by Frank Edward Nora.. “I Scream” sketch written by Chad Bowers and Jimbo. All other skits and production by Jimbo., unless otherwise noted. Hometownville Theme by Jimbo; all other music was ripped from guitar effect processor and synthesizer patch demo videos! Many thanks to Marc for his professionalism, time, and his studio use. Frank – you’re the best – thanks for driving that train high on octane! Shambles, you greased this machine with your talent+flexibility! Jeff, please point your mirror at the sun more, you’re awesome. Mort, you need your own show – oops I meant Milt. Chad: you’re so Henry the 8th normal, sort of. And PQ, only you can prevent forest fires. This work is licensed under a Creative Commons Attribution-NonCommercial-NoDerivs 4.0 United States License. August 31, 2016. Attribution: by Jimbo, Frank Edward Nora, PQ Ribber, Chad Bowers, Marc Rose, Shambles Constant, Jeff Pollard and Milt Kanes. 2:34:10 – Jimbo!! Chad Bowers!! Mike Boody!! Frank Edward Nora!! Doc Sleaze!! A superb and multi-faceted look at Comedians!! PQ Ribber is your Master of Ceremonies and Jimbo provides the indispensible ONSUG Week in Review! 1:13:34 – Recorded 8/24/16 and 8/26/16. 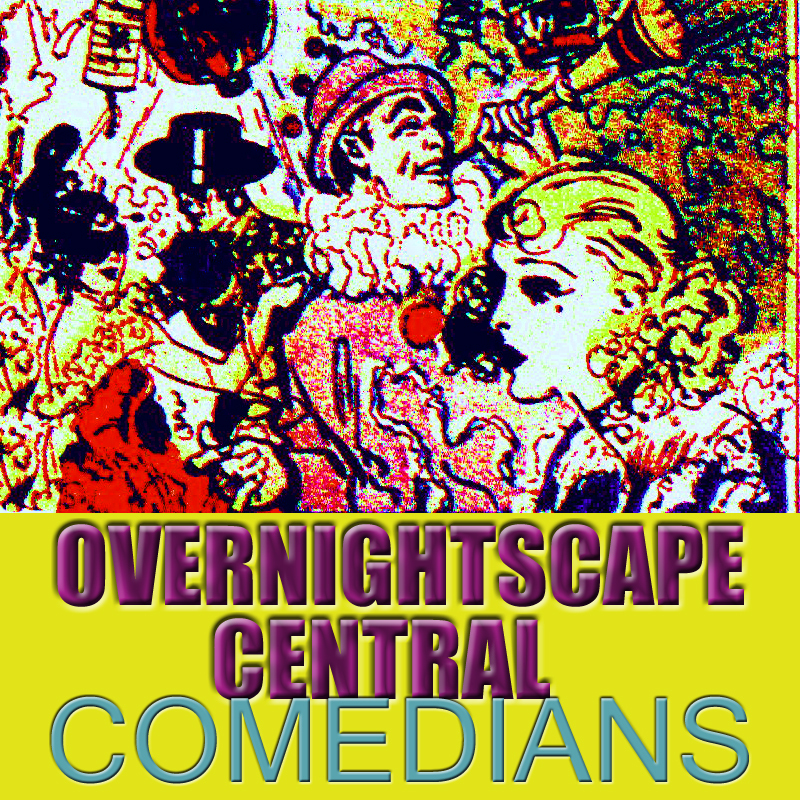 Released August 2016 on The Overnightscape Underground (onsug.com), an Internet talk radio channel focusing on a freeform monologue style, with diverse and fascinating hosts. 25:10 – The story of my anxiety attack at Pizza Ranch (hence the episode title). Recorded 8/27/16. 1:20:26 — Join Mike in the studio late at night as he remembers Crazy-C, the wannabe rapper from his college acting class who brought a class production of Mamet’s “American Buffalo” to a show-stopping conclusion. Later, he talks about how to claim your manliness through bartering. Also, the Heaven’s Gate cult. Download on iTunes and Podbean. 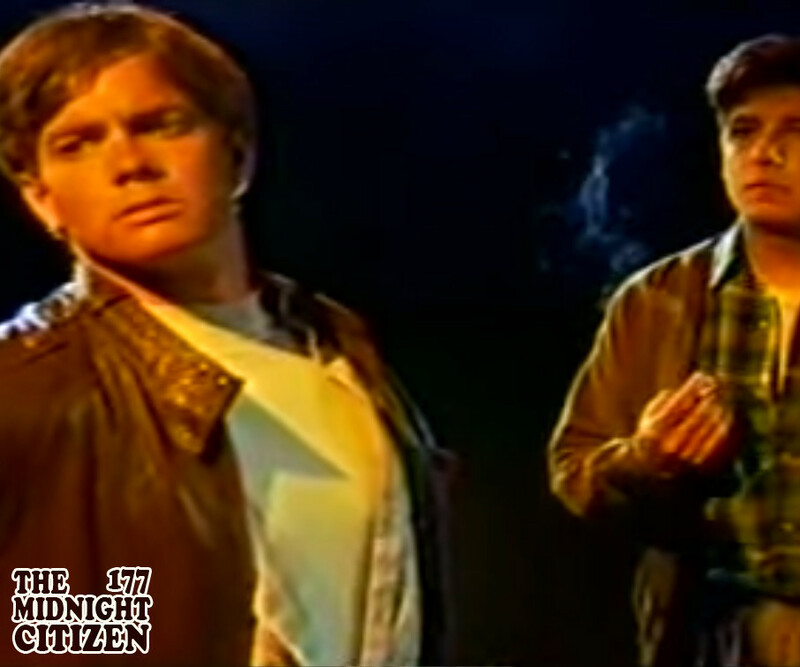 Subscribe to The Midnight Citizen and get an exclusive short film! Detailed show notes: People I used to know and how they still exist in my mind the way they were rather than the way they are now; “The Matrix” (1999) was my first DVD and I still own it; The Overnightscape Central; the story of Crazy-C, my college acting class partner; David Mamet; selling my car and learning how to barter; web sites I used to know — “Hamster Dance”, “The Blair Witch Project”; “Heaven’s Gate” web site from 1997 is still up and running; Hale Bopp comet; vlogs and blogs; Century Plaza, my first mall and dead since 2009, may be bought by a local megachurch; the National Parks Service turns 100. The Gizmodo article about those brave cult members who stayed behind to manage the Heaven’s Gate web site. Music for tonight’s episode: “Something” by Kai Engel; “Call for Surrender”, “Dance Rocket”, “Descent of the Goober Monster” by Jesse Spillane; “City in Ruins” by Mescares; “These Fair Hands”, “True Hearts” by Nick Jaina. All music is Creative Commons License: Attribution, Share-Alike. This work is licensed under a Creative Commons Attribution Non-commercial Share-Alike US License. Attribution by Mike Boody. Released August 2016 on The Midnight Citizen and The Overnightscape Underground. 1:15:34 – My foot, traffic, Keystone Victrola, Star Trek: Enterprise, purple sock day, Pokemon Go, early lunch, learning Spanish on YouTube, food court in the mall, weird encounter with the guy who sharpened ice skates, forgot my wallet, loud cicadas, Subway sandwich, phone call, stuff I’ve been listening to, Superbook and Flying House, don’t have much to say, driving in thick rain with nineties music playing on the radio, show art, trying to make a left out of parking lot, “DO NOT SPRINT UP HERE!”, insane rain, Overnightscape Central, preserving my dignity, it’s just sprinkling now, must document recording dates, better weather at end of the day, false episode ending, recording at 3:15 AM, possible origin of the whole purple sock thing, Kate Gosselin back in the news, reality shows, moody this week, the house is quiet, generalized anxiety disorder, acting like things are fine, weird dream about trespassing in my ex’s house, Arkie eats too fast. Recorded 8/23/16 through 8/25/16. (40:24) A little late but here again with more fun than the bullet that choked Billy Patterson. Super-sized and non-refundable thanks to Jimbo, Sabra May, and Jeff Pollard. Released August 24th, 2016 on The Overnightscape Underground (onsug.com), an Internet talk radio channel focusing on a freeform monologue style, with diverse and fascinating hosts. You are currently browsing the archives for the 'Aug16' category.